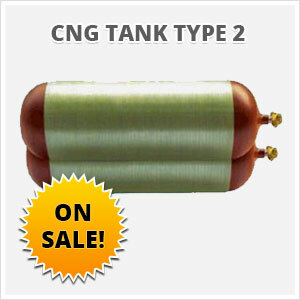 View cart “CNG Tank Type 2 | O.D: 14 | Length: 31 | G.G.E: 5 gallons” has been added to your cart. All CNG Tanks Type 2 Cylinders are USDOT FMVSS 304 and NGV-2 compliant certified, and tested to the highest standards. The cylinder service pressure is rated at 3,600 psig with a 20 year service life.